Joe D. Whitley chairs the Atlanta White Collar Criminal Defense Practice. He represents clients nationally and internationally in a variety of matters, including white collar criminal matters and regulatory enforcement, corporate internal investigations, and Foreign Corrupt Practices Act (FCPA) and U.S. export controls and compliance as well as corporate compliance, health care fraud and FDA-related matters. Joe has had a wide-ranging career in the Department of Justice. In the George H.W. Bush administration, Joe served as the Acting Associate Attorney General, the third-ranking position at Main Justice in the Department of Justice. He was appointed by Presidents Reagan and Bush, respectively, to serve as the United States Attorney in the Middle (Macon) and Northern (Atlanta) Federal Districts of Georgia. Throughout his career, Joe served under five United States Attorneys General and four Presidents in a number of key operational and policy positions. Earlier in his career, he served as an Assistant District Attorney in the Chattahoochee Judicial Circuit in Columbus, Georgia. In 2003, Joe was appointed by President George W. Bush as the first General Counsel of the United States Department of Homeland Security (DHS), the highest ranking legal official in DHS. He held that position for two years working for Secretary Tom Ridge and Secretary Michael Chertoff, before his departure and return to private practice. Corporate defense and representation of clients in complex civil and criminal enforcement matters brought by the Department of Justice, other federal agencies, State Attorneys General and local prosecutors is the focus of Joe Whitley’s practice. Joe has represented numerous individuals and corporations in major government investigations throughout the United States and internationally. He is a frequent speaker and lecturer on white collar, compliance and corporate governance issues. Joe has been listed in The Best Lawyers in America from 2001-2014. 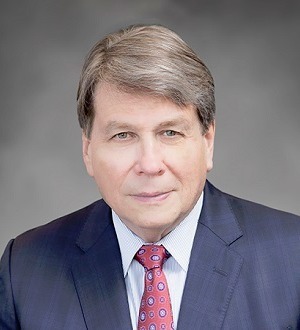 He was selected by Super Lawyers magazine, and Georgia Super Lawyers from 2010-2013 and listed as one of the "Top 100 Lawyers in Georgia" from 2011-2014. Joe is also listed as one of "Georgia's Legal Elite" in Georgia Trend magazine, 2008-2014. He was selected by Super Lawyers magazine for Washington, D.C. Super Lawyers in 2012-2013.